We are a group of people with over 30+ years experience in sourcing the best deals, offering a great price, getting it delivered timely in good condition, all with prompt courteous customer service! We appreciate the opportunity and will do the best we can to make you a satisfied client and repeat customer! 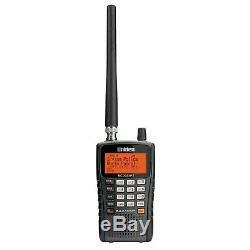 Uniden BCD325P2 Handheld TrunkTracker V Phase II Digital Police Scanner NEW! TrunkTracker V 25000 Dynamically Allocated Channels Close Call RF Capture Technology Location-Based Scanning S.
Included in the box BCD325P2 Scanner AA Rechargeable Batteries Rubber Duck Antenna USB Cable Strap Owner's Manual. The BCD325P2 comes equipped with Uniden exclusive features like Advanced Dynamic Memory System, Close Call RF Capture Technology, and GPS compatibility. It also includes support for the latest APCO Project 25 Phase II systems. 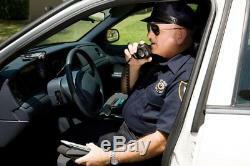 TrunkTracker V - Follows communications on APCO 25 Phase 1, Phase 2, X2-TDMA, Motorola, EDACS and LTR trunked systems. 25000 Dynamically Allocated Channels - Room for all your local systems and more. Close Call RF Capture Technology - Instantly tunes to signals from nearby transmitters Location-Based Scanning - Connect an optional GPS for automatic channel selection. Weather Alert - Specific Area Message Encoding - During a NOAA Weather or Emergency Alert, a code for your specific location will alert you to severe conditions in your immediate area. 100 Quick Key System Access Band Scope - Graphically finds radio activity Compact Size Audio AGC Automatic Digital Threshold Adjustment Temporary Lockout - Lets you temporarily lockout noisy channels. Search with Scan NAC Decoding - for conventional P25 channels DCS/CTCSS Rapid Decode - Instantly Detects and Displays the Subaudible Tone So You Can Quickly Determine the System Settings. Alpha Tagging Fire Tone-Out Public Safety Scanner System / Channel Number Tagging - provides rapid access to a specific system or channel Individual Channel Volume Offset Priority ID Scan on trunked systems. Close Call RF Capture Technology - Instantly tunes to signals from nearby transmitters. Location-Based Scanning - Connect an optional GPS for automatic channel selection. 100 Quick Key System Access. Band Scope - Graphically finds radio activity. Temporary Lockout - Lets you temporarily lockout noisy channels. NAC Decoding - for conventional P25 channels. DCS/CTCSS Rapid Decode - Instantly Detects and Displays the Subaudible Tone So You Can Quickly Determine the System Settings. System / Channel Number Tagging - provides rapid access to a specific system or channel. Priority ID Scan on trunked systems. Again thank you for the opportunity we are certain you will a happy client! 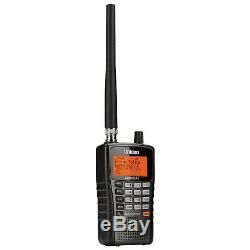 The item "Uniden BCD325P2 Handheld TrunkTracker V Phase II Digital Police Scanner NEW" is in sale since Wednesday, August 23, 2017. This item is in the category "Consumer Electronics\Radio Communication\Scanners". 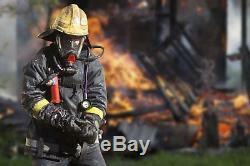 The seller is "outdoor_america" and is located in Rockville Centre, New York. This item can be shipped to United States, Canada, United Kingdom, China, Mexico, Germany, Japan, Brazil, France, Australia, Denmark, Romania, Slovakia, Bulgaria, Czech republic, Finland, Hungary, Latvia, Lithuania, Malta, Estonia, Greece, Portugal, Cyprus, Slovenia, Sweden, South Korea, Indonesia, Taiwan, South africa, Thailand, Belgium, Hong Kong, Ireland, Netherlands, Poland, Spain, Italy, Austria, Israel, New Zealand, Philippines, Singapore, Switzerland, Norway, Saudi arabia, United arab emirates, Qatar, Kuwait, Bahrain, Croatia, Chile, Colombia, Costa rica, Panama, Trinidad and tobago, Guatemala, Honduras, Jamaica.